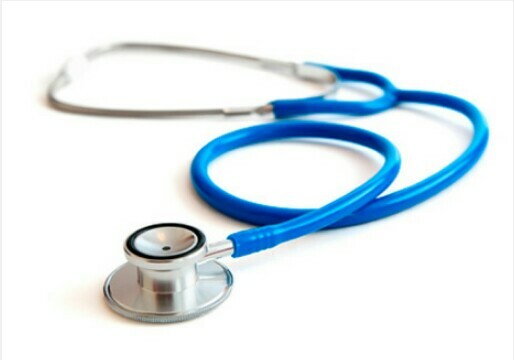 Consultant Endocrinologist and Senior Lecturer at the University of Lagos, Dr Ifedayo Odeniyi, has said that less than 200 endocrinologists are currently practising in Nigeria. Odeniyi, who raised the alarm over the acute shortage of these diabetes care specialists in the country, spoke at a capacity building workshop organised by Sanofi Aventis Nigeria Limited as part of activities to mark the 2017 World Diabetes Day. The specialist said that a healthy lifestyle with a balanced diet is non– negotiable if Nigerians were to reduce their risk of developing the disease which the World Health organisation has said affects at least 3.9 million Nigerians. He said, “As at now, we have less than 200 endocrinologists in the country and this shortage of specialists is the reason why Nigerians must live a lifestyle that will reduce their risk of getting diabetes. “Many are not exercising. In fact, we have househelps who are healthier than us because we keep sending them on errands back and forth instead of us to do these chores ourselves. The top executives have people carrying their briefcase, they sit and eat through many meetings, all these have effects on our body mass index, a factor that predisposes to diabetes when it’s high,” Odeniyi stated. The expert who said individuals were more likely to develop Type 2 diabetes as they grow older also listed obesity, use of drugs containing steriods, sedentary lifestyle as some of the risk factors for developing the disease. Odeniyi, who also corrected the notion that Nigerian foods were loaded with calories and thus, not good for persons with high blood sugar, however, noted that portion control was one of the weapons used to prevent, manage and control diabetes. The physician, however, cautioned diabetics against skipping meals as this could also worsen their condition. According to him, persons living with diabetes can eat anything in moderation as long as it is in small portions. “There is nothing to avoid with diabetes. It is not Nigerian food because all races have it and most countries are battling with it. Even scientists have not discovered what causes it genetically. “What we know is that diabetes is a disease of discipline. You must eat in moderation. Reduce your intake of fried foods and don’t bleach your palm oil. Reduce your consumption of bokoto, abodi, shaki and offals because they are high in fats and being overweight leads to Type 2 diabetes. “You should even eat small portions of food, at least four times a day as a diabetic. This is because the beta cells that produce insulin are only produced when you eat. So, when you skip meals, your body will not secrete the insulin that a diabetic really needs. “You don’t have to eat only beans and unripe plantain. I have patients who eat yam and egg, just two slices with an egg. We also recommend snacking during meals and their last meal should must be before 7.30pm and a small snack before they sleep,” the endocrinologist explained.